Do you want to improve the aesthetics of your bathroom? Before you disrupt your household with the hassle of a remodel, make sure you’re prepared. Familiarize yourself with this cost and ROI overview to help guide the planning process. What Does This Type of Remodel Cost? The first step to organizing a bathroom remodeling project is setting a budget. Understanding the potential costs involved can help you decide whether you’re working on a complete overhaul or focusing your resources on a few select changes. Homeowners who make bathroom updates usually hope to recover at least a portion of their investment. An upscale bathroom remodel is among the projects that see the largest percentages of value increase year over year. But a high-end revamp can cost tens of thousands. If you’re working with a more modest budget, going with simple changes like updates to light fixtures, sinks, toilets and the like can refresh your space for significantly less. When planning bathroom renovations, it’s always smart to fix what’s broken first, especially since replacement projects see larger returns (74 percent) than remodeling ones (63.7 percent). Once you’ve tackled any necessary replacements, make investment-savvy design selections that add value for you and your family. Trade out the garden tub for an expansive shower, add granite countertops or upgrade the vanity, ventilation or lighting. Finding what most benefits your family can lead to greater satisfaction years after the project’s completion. 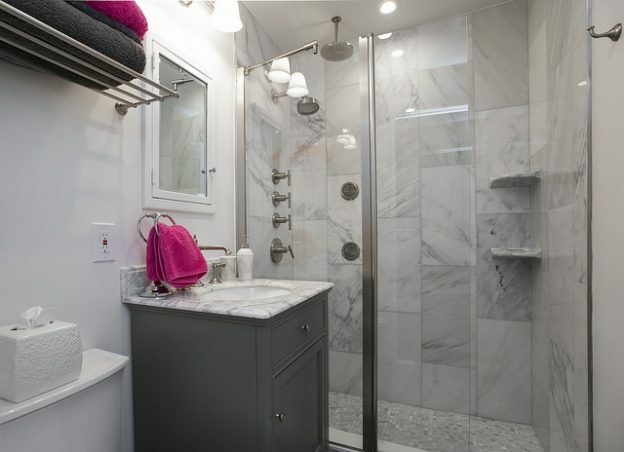 With budgeting sense and some design know-how, you’ll have the confidence you need to initiate a successful bathroom remodel. This entry was posted in DIY, Tips and Advice and tagged bathroom, DIY, Home Improvement, Home Selling, modern home, remodel, renovate, resale, upgrade on June 15, 2017 by admin.